The title of the sixth “Masterworks” program of the HSO’s 75th season may sound strange at first glance, but the musical tradition of Eastern European Jews known as klezmer often features the clarinet, one of Mozart’s favorite instruments. The concert opened with an ebullient account by the orchestra and their Music Director Carolyn Kuan of the little-known overture to Mozart’s early opera “Lucio Silla.” Written when the composer was only sixteen, it lacks the seamless structure and emotional depth of his later opera overtures, but some dramatic passages and the quiet central section hinted at the mature Mozart to come. 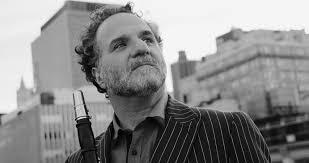 Next, clarinetist David Krakauer was the featured soloist in Osvaldo Golijov’s “The Dreams and Prayers of Isaac the Blind,” composed in 1994 for clarinet and string quartet and arranged in 2005 for clarinet and string orchestra, as heard here. An Argentinean-born Jew, Golijov was inspired by writings of Isaac, a 12th-century French rabbi, and mystic, to base each of its five short movements on a different Jewish prayer. The quiet opening and closing movements showed off the hushed radiance and full mellow tone of the clarinet that may have appealed to Mozart. But in the livelier inner movements it sometimes revealed a harsh, dissonant, frenzied sound as well. These qualities were even more prominent in Krakauer’s two encores: a “semi-improvised” recap of his decades-long career, and a klezmer-wedding dance. Accompanied by a buoyant Maestra and orchestra in the Golijov and the dance, he tossed it all off with virtuosic control and jubilant high spirits. Following the two HSO premieres in the first half, the program concluded after intermission with Mozart’s familiar 39th symphony, the first of the final trilogy that he wrote within two very productive months during 1788. Kuan led an affectionate performance, relaxed in the opening Adagio-Allegro movement, flowing in the Andante, playful in the Minuet, and exuberant in the “Allegro” finale. In introducing his encores, Krakauer cited the joy of the klezmer tradition he had inherited from his Eastern European ancestors to condemn recent violence against Muslims in New Zealand and Jews in Pittsburgh, comments that clearly resonated with the appreciative audience.